A firm caught selling "lethal" tyres has been fined £26,000 after appearing in court charged with 15 counts of supplying and possessing unsafe part-worn tyres. Lincoln Trading Standards began monitoring Luke McKenzie, trading at Moss Tyres in Grantham, following complaints from customers. He later appeared at Lincoln Crown Court, where he was handed a nine-month suspended sentence and fined £26,000. Selling faulty equipment is not only illegal, but it is very damaging for an individual or business' reputation among customers. Furthermore, having a criminal record will make it far more difficult to obtain motor trade insurance, with brokers less likely to offer a policy to a business that has a history of dishonest or illegal practices. 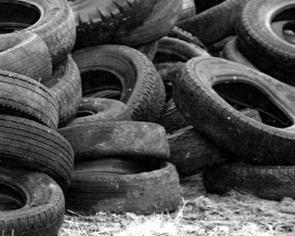 Following his conviction, large numbers of tyres were seized from Mr McKenzie's premises and were found to have serious defects that could have had "life-threatening consequences". Andy Wright, principal trading standards officer, said the action taken by the court highlighted the seriousness of the crime committed. "Unfortunately we don’t have the power to stop the company from trading, but we have been investigating any fresh offences that may have been committed. This includes further covert test purchases from Moss Tyres while waiting for this case to be heard," he said.